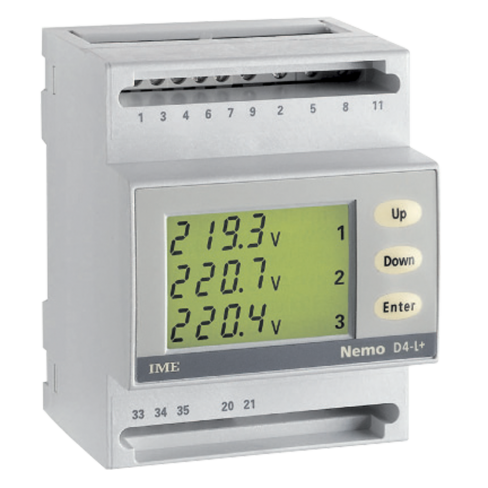 Nemo D4-L+ - DIN Rail mounted multi-function meter. The Nemo D4-L+ - DIN Rail mounted single phase or three phase multi-function meter. The Nemo D4-L+ - DIN Rail mounted multi-function meter works with 1A or 5A current transformers.